I just saw this post from Savvy Succulents, and thought it would be a great post to share with all of you who love succulents. I live in the desert and I have done this before with some of my succulents and have had great results. Hope you enjoy!!! Hope you enjoyed this post from Savvy Succulents!! Beautiful. They look so charming with their little leaflets popping out around the edges. I adore succulents, while living in Gozo nearly every front door had a pot of succulents beside it, wonderful! Thank you for linking us to how it is done. I did do some now and then with success but never to late to learn more about it. They are darling little plants. Cheers! Yes Kelley, Gozo is very beautiful, I thought so too. 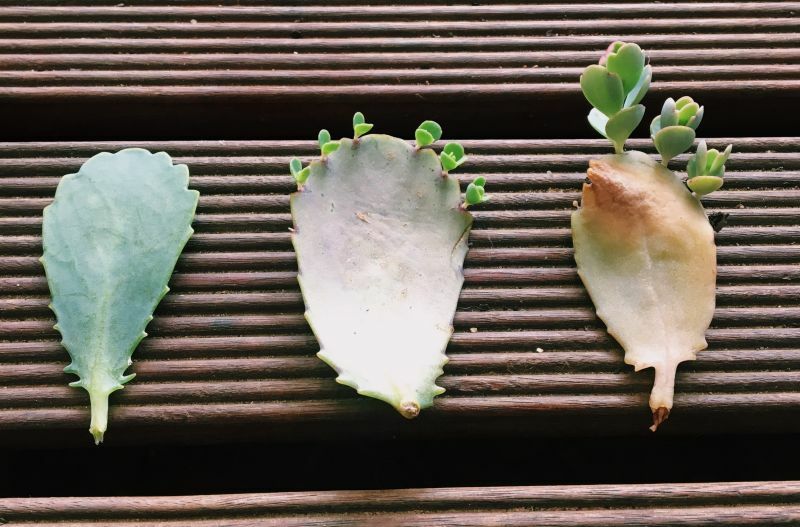 Very practical way of propagating succulents!☺️❤️️ Have a great day! Most succulents are easier to grow from cutting; and cuttings produce bigger and better plants. I would only grow them from leaves if I needed to grow a whole bunch of copies, or if I only got a few leaves to work with. Sedums grow from leaves that fall on the ground. Really?!? I didn’t know that they produce bigger and better…awesome, thank you! Well, cuttings start to grow at the size they are when you make them. I mean, if you grow a three inch cutting of jade plant, you start with a three inch plant. Those grown from leaves are like growing them from seed. It is effective, and can produce more plants with less stock material, but it is a slower process. When I grew giant yucca (which I do not really classify as a ‘succulent’) I took cuttings that were as tall as the bed of the pickup was long. They were instant big yucca plants. Thank you for the information Tony!! Why Didn’t I Think Of That?? Dye Your Easter Eggs Then SPRING CLEAN the House!